As any UFC fan knows, the UFC is one of the greatest fighting leagues out there – and getting UFC matches without cable and pay-per-view is painfully difficult at times. Thankfully, there are now more ways to watch UFC without having to pay up for PPV, although you may be limited in what you receive. Where Can Watch I UFC Without Cable? It’s important to note that the UFC is ultimately a pay-per-view sports organization, at least in the United States. If you’re hoping to get UFC content, like Fight Nights, in the US, you’ll still have to deal with the occasional PPV bout. However, not all of the UFC’s content is locked behind a PPV model, so you can still get some of it at a lower cost. 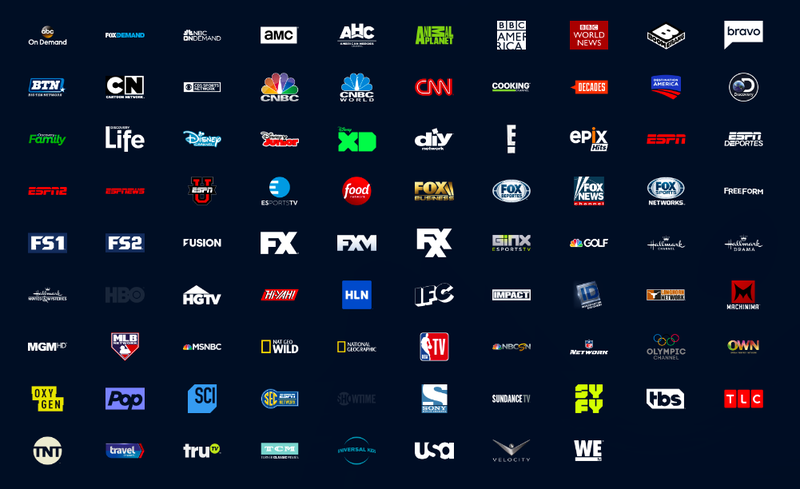 Among these options, fuboTV and Sling TV are going to be your best options, but any other streaming service that carries ESPN, at a minimum, is going to be worth exploring. Let’s dive into your options in more detail below. Although fuboTV doesn’t carry ESPN, it does carry Eleven Sports. Thankfully, that means Fox Sports losing its UFC contract won’t make fuboTV subscribers lose access to UFC matches without cable. There are two basic channel packages available through fuboTV. The lower-cost “fubo” package carries 80+ channels in most locations where fubo is available, and it includes Eleven Sports. You’ll also get Fox Sports 1 and 2, a handful of beIN Sports channels, CBS Sports, and a large number of popular entertainment and news channels. Should you want 100+ channels (including more sports and entertainment channels), you can opt for the “fubo Extra” subscription. You won’t need that one to get Eleven Sports or UFC through fuboTV, although it may still be something you’re interested in based on the channels it offers. At $44.99 per month to get UFC and other channels, you may find fubo on the higher side of the price range for you. However, fuboTV has some good features. First, fuboTV provides a 30-hour cloud DVR. This is not the largest among the other services, but it comes included with the cost of the subscription. And if 30 hours isn’t enough for you, fubo has an Enhanced DVR add-on for $10/month that increases the limit to 500 hours, which is the highest among any internet TV service. Fubo also offers a 72-hour rewind feature that allows you to rewatch almost anything broadcast on its service within 3 days, without having to save it to your DVR. That’s a great option for those who forget to hit the record button ahead of a TV show or event. You’ll also get 2 simultaneous device streams per account with fuboTV. That’s fairly standard across the industry, and you can increase that to 3 streams for an additional $6/month. Should you wish to explore fuboTV, you can do so free using its 7-day trial period. You can also stream directly through your web browser, or on popular devices like the Amazon Fire TV, Apple TV, Roku, Chromecast, or on iOS or Android phones and tablets. Those looking to get the most UFC matches possible for a low cost should consider making Sling TV an option to explore. Sling TV has three basic channel packages to offer potential subscribers. It mixes and matches channels in its two $25/month Sling Blue and Sling Orange, and offers all of its channels via the $40 month, Sling Orange+ Blue package. If you just want to ensure you have ESPN to watch UFC without cable, you’ll need to opt for the Sling Orange package. Sling Orange comes with 30+ channels and includes ESPN and other Disney-owned networks. Sling TV was one of the first cord-cutting options in the market. It set the standard for features, although it doesn’t have the best features on the list of options. With Sling Orange, you’ll get just one device stream per account. Unfortunately, you also cannot increase this. This actually makes Sling TV a bit more limited for UFC fans than it was when Fox Sports was the UFC provider, given Sling Blue allows 3 simultaneous streams per account. Sling TV also does not come with a cloud DVR for the cost, but you can purchase a 50-hour DVR for $5 per month. That means if you want Sling TV’s channel package with UFC, as well as DVR, you’ll pay $30 per month. The best thing about Sling TV is its device coverage. You can of course stream on the web through your Mac or Windows computer, but most every popular streaming device is supported. There are native apps for iOS and Android, Amazon Fire TV, Apple TV, Roku, Chromecast, a handful of smart TVs, and Xbox One consoles. You can try Sling TV with its 7-day free trial. For those who want one of the best user experiences on the market, Hulu with Live TV offers an industry-leading experience. Hulu reduces the complexity of internet TV and offers just one main streaming channel package. You can get Hulu with Live TV for just $39.99 per month and receive between 50-70 channels in most locations. Your subscription includes a lot of nice features, which we’ll lay out in the next section. But, most importantly, it comes with all of Hulu’s on-demand content. You get a free Hulu on-demand subscription, which is an $8/month value. As a result, signing up to Hulu with Live TV is really like signing up to two services at the same time, but for the price of one. If you don’t want Hulu’s on-demand library, you can get Live TV Only, but Hulu only offers a $1 discount on the price. It’s really not worth it, so you might as well opt for the whole thing. Hulu’s features are what make it a force to be reckoned with in the cord-cutting market for live TV providers. With Hulu, you’ll get 2 simultaneous streams, which is an industry standard. But if you want more, you can spend an extra $14.99 per month to get an unlimited number of device streams under the same WiFi, and up to 3 simultaneous device streams out-of-network. That’s way more than any other service, but it’s also a bit pricey. Hulu with Live TV also offers a decently-sized 50-hour cloud DVR with the regular subscription cost. If you’re finding 50 hours of DVR storage to be limited, you can upgrade to 200 hours, but that will also set you back $14.99 per month. You can combine Cloud DVR and Unlimited Screens for $20/month to save a bit of cash. As far as device coverage goes, Hulu is the only streaming service you’re going to find on the Nintendo Switch. But you can also use it on most other devices, including Mac and Windows web browsers, iOS and Android, Apple TV, Amazon Fire TV, Roku, Chromecast, and some smart TVs. Hulu offers a 7-day free trial to new subscribers interested in trying it on for size. YouTube TV is obviously competing with all of the other services here, but in form and function, it’s most similar to Hulu with Live TV. For users, that’s a good thing. YouTube TV can be purchased for $40 per month. You’ll get 60+ channels with your subscription, including ESPN and many other popular sports, entertainment and news networks. You’ll also get local channels as part of the package, such as Fox, CBS, and ABC. The only difficulty with YouTube TV’s sign-up process? You may not be able to sign up at all. YouTube TV is the only service on our list that still isn’t available nationwide. If you’re in a major city, like San Francisco, Chicago, Washington DC, Dallas, and New York, or even a more medium-sized city like Richmond or Ann Arbor, you’ll have access to YouTube TV. But if you’re in a smaller city or rural area, you may not be able to sign up. You can enter your ZIP code on YouTube TV’s main website to find out if it’s available to you. Did you win the YouTube TV availability lottery? You’re in luck, then, as this service has some of the best features on the market. Through YouTube TV, you’ll get 3 simultaneous streams as part of your package. That’s one more than what’s standard with most of other services except PlayStation Vue, which offers 5. YouTube TV also offers unlimited cloud DVR recording. The only “limitation” is that your videos expire after 9 months, which is a fairly long time. Even better, YouTube TV offers you the option to have 6 different user profiles per account, and each user gets their own cloud DVR. That’s super generous for the price. Finally, YouTube TV provides dedicated apps for a large number of devices, such as iOS and Android phones and tablets, some smart TVs, Apple TV, Roku, and Chromecast. However, there’s no app for Amazon Fire TV devices, due to a feud between Google and Amazon. There’s a 7-day free trial available for YouTube TV subscribers. PlayStation TV is a contradiction. It’s both one of the most well-regarded cord-cutting services on the market right now, but it’s also the most expensive. It has some of the best features, but it’s also one of the least well-known. Given your goal here is to save money and get access to UFC, you can completely ignore the “Elite” and “Ultra” subscription packages (unless you want every channel PS Vue has to offer, that is). All you need is “Access”, which provides ESPN and ESPN2, among 40+ other channels. And if you also want access to Eleven Sports, the UK network that will offer UFC as well, you can tack on a sports channel package add-on for $10 per month extra. That Sports Pack add-on also includes NFL RedZone, several regional sports networks for Fox Sports and NBC Sports, NESN, Stadium 1-3, YES, Goal Line, Outside TV, and ESPN Classic. PlayStation Vue completely justifies its price through its features. Through this service, you’ll get 5 simultaneous streams. That’s far more than you get with every other service on offer, with the exception of Hulu’s Unlimited Screens add-on. But with PlayStation Vue, you’re getting that without having to pay extra. You’ll also get 10 user profiles per account. Each of those user profiles will get to enjoy their own, unlimited 28-day cloud DVR. Unfortunately, PlayStation Vue will only save your recordings for 28 days, but you can still record an unlimited amount number of shows during that time. Should you opt for PlayStation Vue, you can try it for 5 days free, and stream it on a large number of devices. The biggest confusion with PlayStation Vue is the name. You don’t need a PlayStation to use it, although you can, of course, use it on PlayStation 3 and 4 consoles. But you can also stream directly from your Mac or Windows browsers, or from dedicated apps for popular streaming devices like the Apple TV, Roku, Amazon Fire TV, or on iOS or Android. DirecTV Now offers a package of channels in a similar fashion to PlayStation Vue. And while it’s slightly cheaper, it misses the mark when it comes to features. If you to go the low-cost route with DirecTV Now, all you need is the “Live A Little” package. But if you’re interested in more, exploring the other channel packages is certainly with the effort. DirecTV Now’s features really leave a lot to be desired. You can get 2 simultaneous streams per account, which we stated earlier is pretty standard across the industry. And you can add a third for $5 per month extra, which is actually a good deal considering other services charge a bit more to add on more streams. But if you want DVR, you’re really in a bad position with DirecTV Now. The service only offers a 20-hour cloud DVR, and it also imposes a 30-day expiration date. To help compensate, you will get a 72-hour rewind similar to what fuboTV offers, but it hardly makes up for the weak DVR option. DirecTV Now is available with a 7-day free trial, and it also has good device coverage. You can stream directly through apps for iOS and Android, Apple TV, Roku, Amazon Fire TV, several smart TVs, web browsers, and more. ESPN’s new standalone streaming service, ESPN+, will carry about 12 UFC events during the 2019 calendar year. If will not carry the main fight cards, however. For that, you’ll need regular ESPN or pay-per-view. You can get ESPN+ for just $4.99 per month. UFC Fight Pass will carry every major UFC event, but in the US, it won’t carry the main event for many of them, which is unfortunate for cord-cutting UFC fans. In some other countries, like Germany, Fight Pass actually carries entire fight cards. However, you can use Fight Pass to watch the entirety of past UFC events, so it’s a good option if you’re unable to watch events live. The service is $8.99 per month and offers a 7-day trial.